Welcome to the last week of the 2015 Virtual Curriculum Fair. 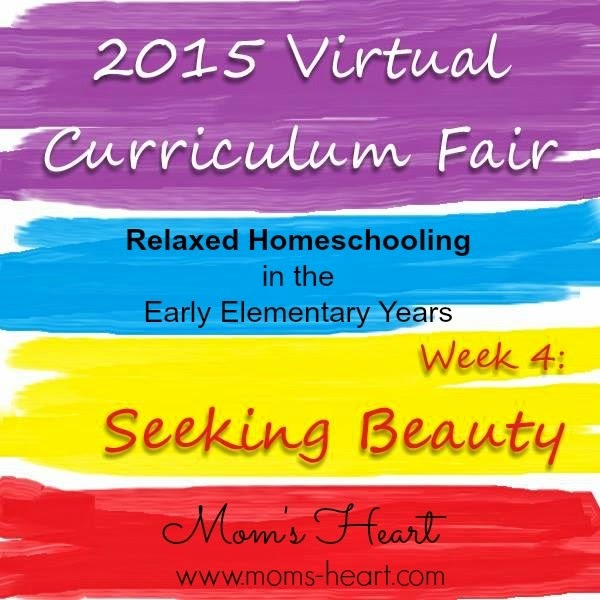 If you're not familiar with the VCF yet, it is hosted annually by Susan at Homeschooling Hearts and Minds and this week's co-host is Lisa @ Golden Grasses. This month long curriculum fair is where we give you a glimpse into our homeschool, focusing on a different subject area each week. Our final theme is Seeking Beauty: the Arts and Everything that Brings Beauty to our World. This is where art, music and handicrafts fit into our routine! Well, this is where art, music and handicrafts should fit into our routine. Admittedly, this is probably my weakest area. For some reason, Fine Arts is the subject area that I am least intentional about teaching, but when I think about it, it is easy to informally cover these subjects. 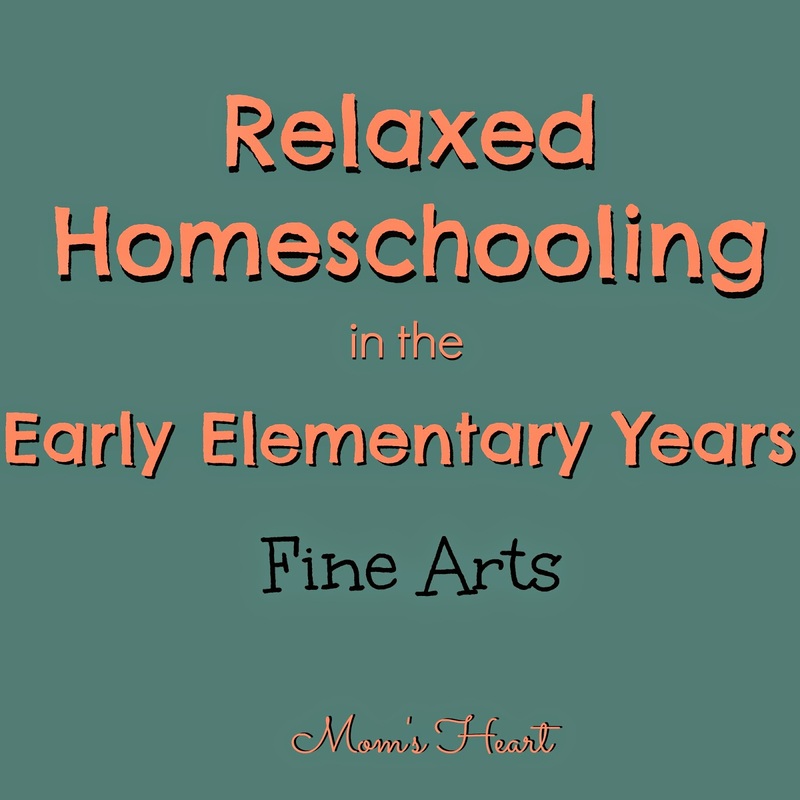 Thankfully I'm a Relaxed Homeschooler, and I don't stress about these subjects either. I just cover them when I can, and let the kids explore them on their own as well. I think variety and exposure is the most important element at this age. I really wanted to finish the lessons in the ARTistic Pursuits books we've reviewed, but it just hasn't happened yet. However, we've worked art into our days through other methods, and I'm okay with that too. I strew Art by placing art books for children into our rotation, I add art apps to our iPad or Kindle, and I casually point out connections to art whenever they arise naturally. Five in a Row does cover art too. Often the manual will offer suggestions for examining the illustrations for specific details--comparisons to famous artists, or techniques like adding text to their art to enhance the story. It is a good way to get the kids to notice details, which I appreciate. When we rowed Cranberry Thanksgiving, we discussed how warm and cool colors were used and talked about the silhouettes, and I found a fun chalk pastel art project for us to do. Another resource the kids love is Art for Kids Hub. It is mostly drawing tutorials, but they are video based, and it's a father working with his kids doing the lesson. He does a lot of popular characters and seasonal/holiday tutorials as well, and the boys love watching the videos! Sometimes there are painting or oil pastel tutorials as well. It's very casual, but there is a huge collection of material, so I can often find something for our rows or seasonal studies, and Elliott especially can get lost on the website, doing one tutorial after another. This was his Leonardo after watching the video tutorial. We are pretty casual when it comes to this subject. I play a variety of music through streaming sites/apps like Pandora. 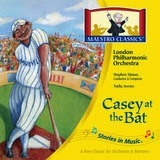 I want the kids to have an appreciation for diversity, so we play different genres regularly. Elliott has expressed interest in learning to play the piano, so I'm exploring that possibility. 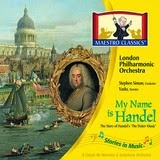 I will say that we all love, love, LOVE the Maestro Classics productions, and I've bought two new ones since our review. I have plans to buy more. They are a great way to get music in, and they're perfect for the car. I've told you before that we love audio books, but I play these occasionally when we're between books, and they're always a hit! Some of the Art lessons from Five in a Row overlap with Handicrafts (weaving, origami, carving) so I tend to work these in whenever there is interest from the kids. For instance, when we rowed Grandfather's Journey, there was a lesson on origami. They were very intrigued, and we continued this one on our own after the row. A pack of origami paper is relatively inexpensive, and there are tons of instructions online, so we had fun. I just let the kids explore until their interests take them elsewhere. 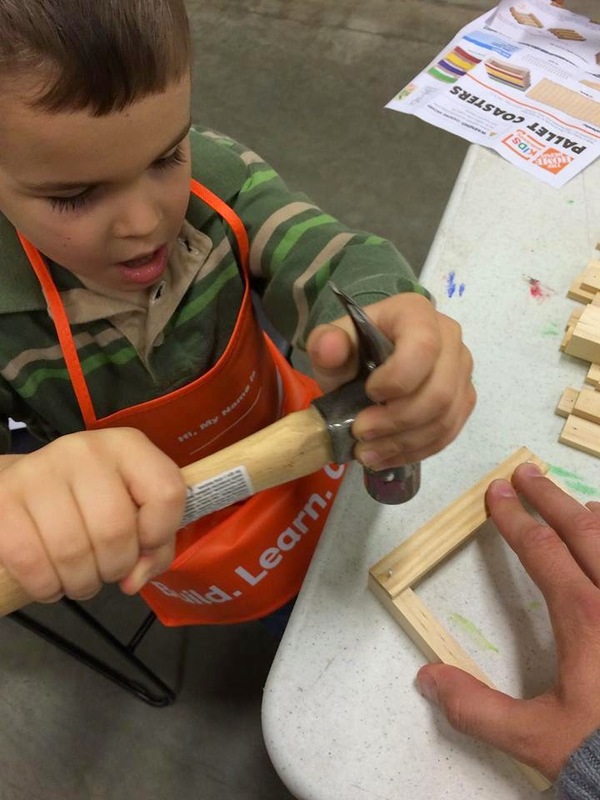 The one thing we still try to do semi-regularly is the Home Depot Kids Workshops. They have them every month, and Daddy tries to take them regularly. They get practice with tools, and Elliott likes working independently and showing me his project when he gets home. Right now, my biggest goal for Fine Arts is exposure. I don't know what they will delight in the most, or where they might find a new talent, so I just try to offer variety and let their interests guide me. Check out how the rest of the VCF participants bring beauty into their home, and if you have anything relevant to share, please remember to link up! I like many of these resources as well! I had similar thoughts about ARTistic Pursuits because I love it and think it's fabulous but have found that I don't grab it off the shelf nearly enough. I think part of it for me is that the kids are motivated to do their "own" thing, and I don't want to take away from that by imposing something else on them. As long as they are learning and enjoying, I am happy! Tackling the Fridge, Freezer and Floors! I'm being interviewed at Homemaking Organized! Cleaning and Organizing my Pantry!